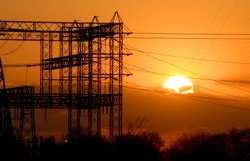 Is New Energy Policy on the Horizon? Is New Energy Policy Just Around the Corner? 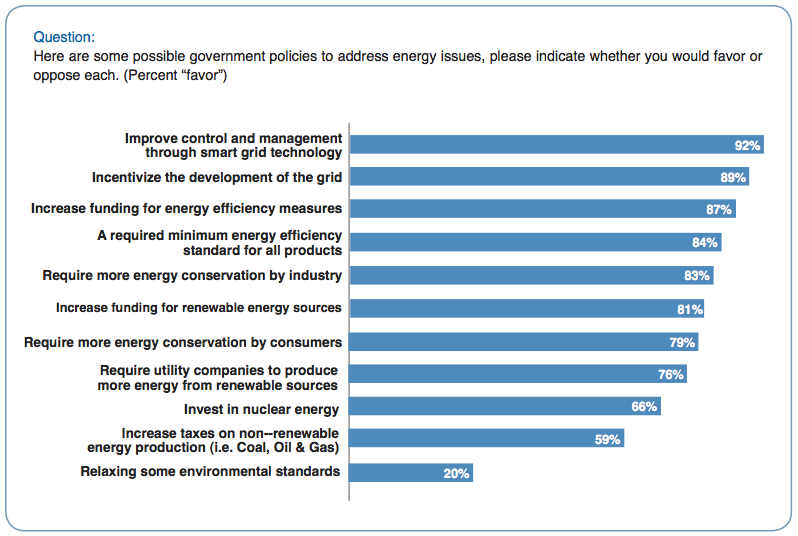 There’s more support than ever before from consumers for environmentally-friendly energy policy. This can be seen simply from the ever-growing number of news articles about global warming to the amount of advertising promoting green products. From this, one would think that the market itself would be enough to change the current standards to ones with higher-efficiency. The research from Bloomberg Businessweek is based on a survey of over 450 energy industry leaders and stakeholders, focusing the questions on all areas of the energy industry, from generation to distribution to policy. The following chart from their study is an extremely informative look into the mindset of the energy industry. All policies related to improving environmental standards and renewable energy easily had the majority in favor of implementing them. The only policy that did not have majority support was for relaxed environmental standards. With a predicted 30% increase in energy use over the next 20 years, 4 policies are sure to come into play to ensure that this energy is available. The groundwork is already being laid in countries around the world, and, as energy industry leaders think that it shouldn’t be left up to market forces, new and improved energy policy is sure to come. To learn more about the future of the energy industry and policy, visit ABB’s research site and watch the video below. Jeremy Jones is a eco web designer and committed activist for environmental change. He is the cofounder of the nonprofit The Kirksville Permaculture Education Center and writes for ABB. Content syndicated by Nathan Brown, the sustainable building careers recruiter for Dancing Rabbit Ecovillage and provider of information on building your own solar energy systems for your home.